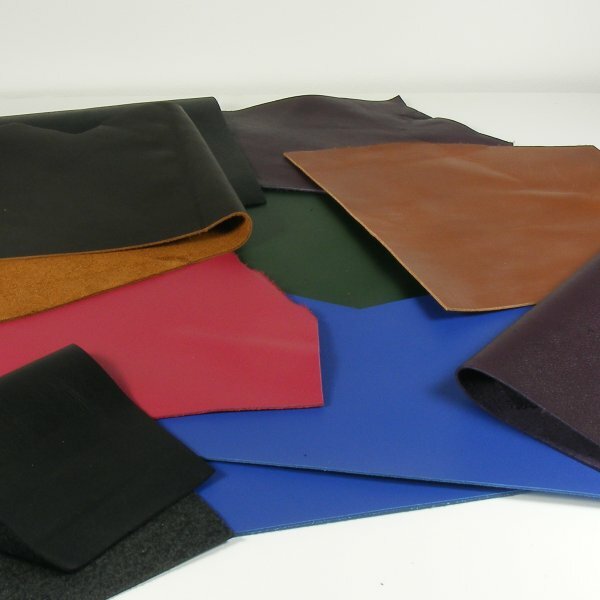 This department contains all our lightest weight leathers, up to 1mm thick. These can often be sewn by hand using a glover's nneedle, or on a domestic sewing machine fitted with a leathr point needle. and cowhide to crease textured and rustic, waxy leathers. These leathers start at 2-2.5mm and go right up to a very sturdy 4mm thick. 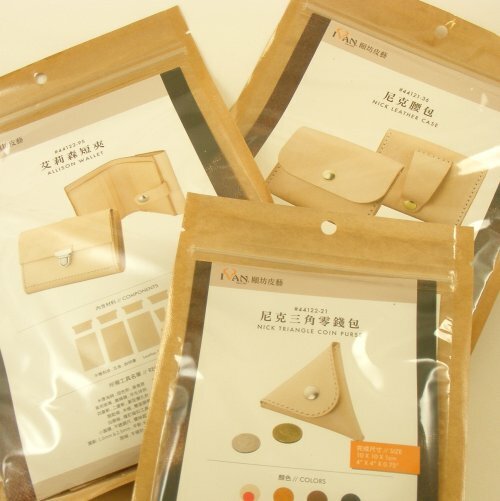 If you want to make a heavy weight case or knife sheath, or try some wet moulding, these leathers are all very suitable. 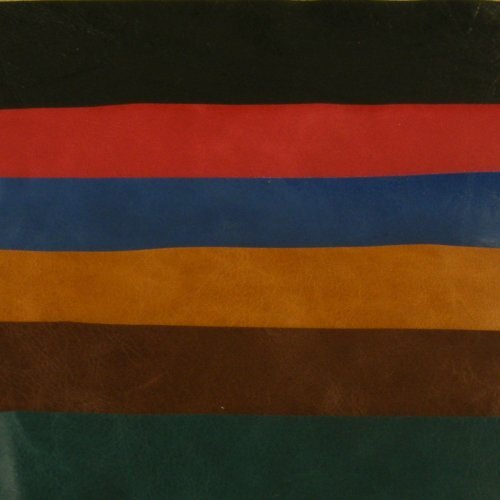 All the leathers in this section are tanned using natural tree bark tanning liquors and dyed with water based, non-toxic dyes. 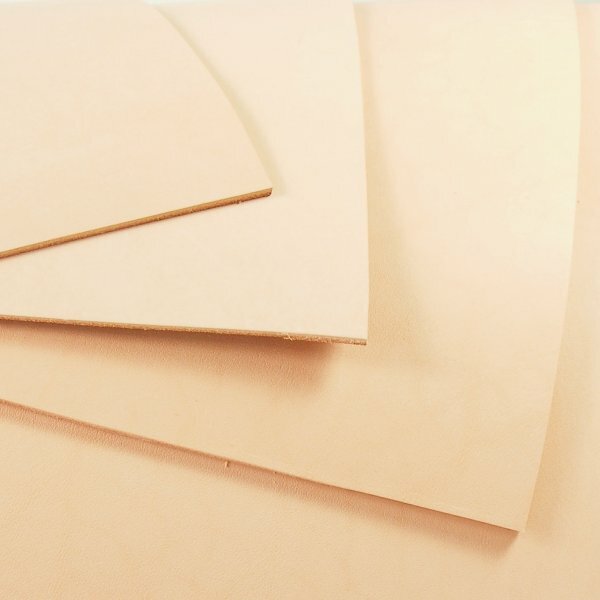 Used for carving, embossing and dyeing, this pale coloured grease-free leather is a blank canvas for your creative ideas. This is as 'vegetable tanned' leather, tanned with birch bark. It has a completely unprocessed outer surface which is absorbent and receptive to tooling, dyeing and painting. 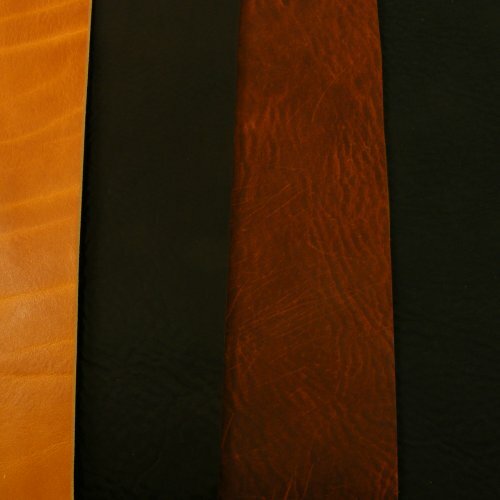 Strips of leather in a range of widths. 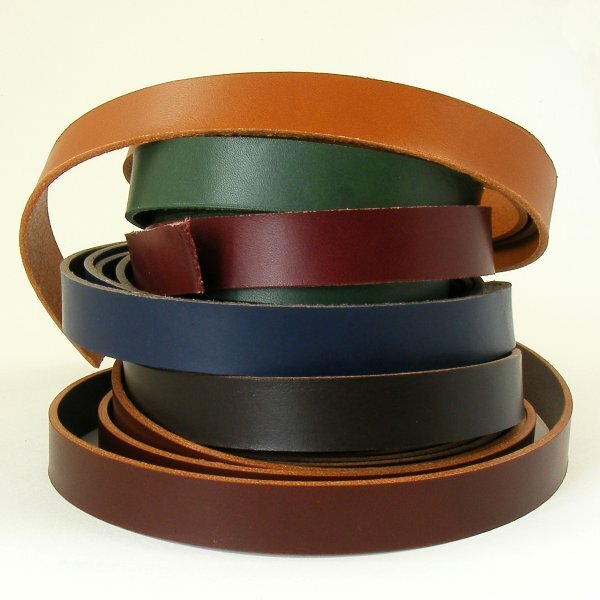 Choose from Italian shoulder in 10 colours, top quality English saddlery leather and undyed veg tan for carving and tooling. 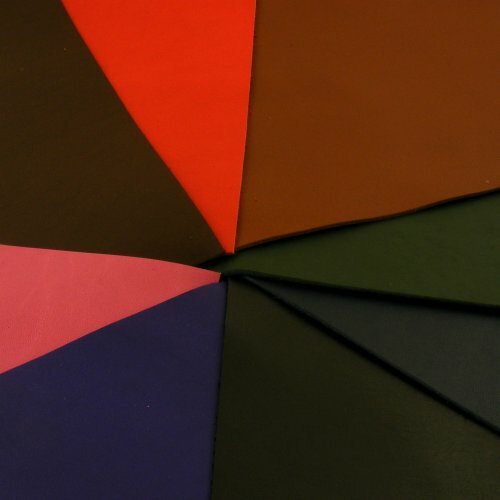 Use colour as your starting point and browse our full range in your chosen colour from one page. 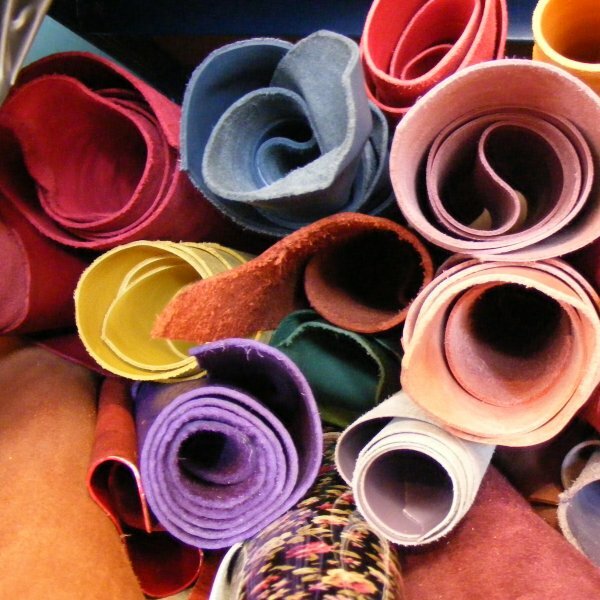 Economical and inspiring - a bag of leather pieces can be the starting point for so many projects! 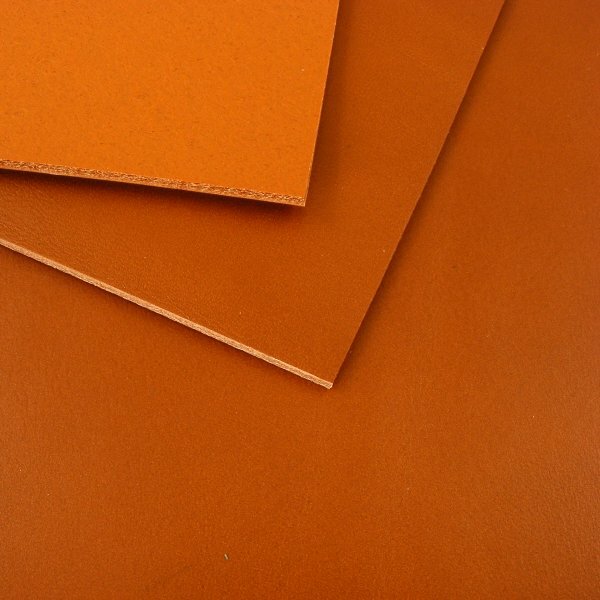 Vegetable tanned tooling leather blanks ready emboss, dye or use as a base for pyrography designs. 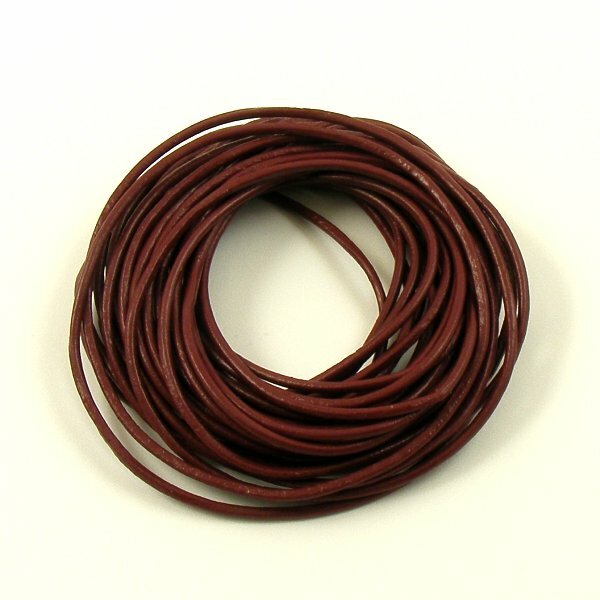 Flat leather lacing in 3mm and 6mm widths and smooth round lacing ideal for jewellery.